3. Storing of CC info: Sets the default for storing CC info. Use the Registration Agreement section to use the default text, modify it to your needs or completely replace it with your own agreement/liability waiver. 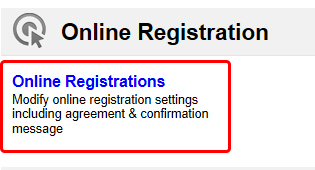 When a client registers online this is the text that they are agreeing to when submitting the registration. Allow WaitList in Groups/SubGroups: Allows you to set yes or no as your default waislist option. This can be changed on a group/subgroup level. 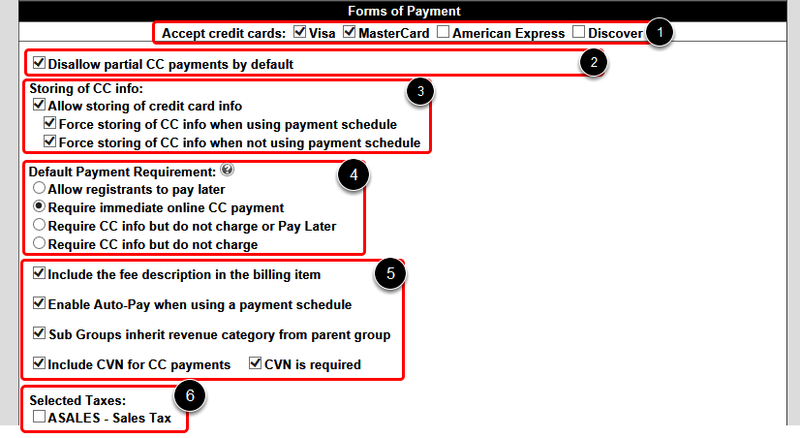 Allow online waiver fulfillment: Is used to decide whether you want the waiver check box within in clients record to be checked when their agreement to the above agreement is done during the registration process. This is typically done in place of obtaining a physically signed copy of the agreement from each client. ** Please check your local/regional laws as well as with your insurance carriers on whether this is an acceptable solution before relying on this as opposed to obtaining a physically signed waiver. Remember Form Fields: Check the box to have the form remember the entered information for the client once a registration has been submitted. This will reduce time filling out the form for subsequent registrations of the same person or additional family members. 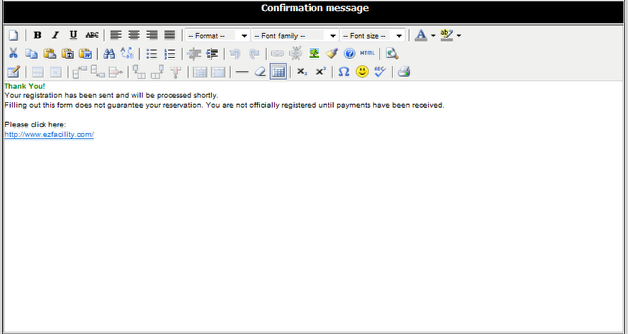 Enter a single or multiple email addresses (separated by semi-colons) to be sent the notification email for every registration that takes place. This is the default address which can be changed for each group that you create. Click on Save Changes to save any modifications made to this page.